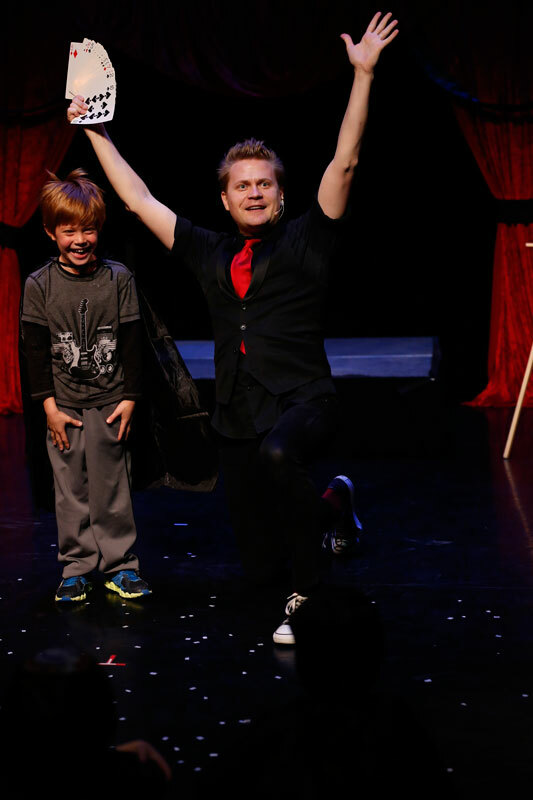 New York, NY (3/28/16) – The Amazing Max, the “awesome and hilarious live magic show for the whole family” (PBS Kids) starring magician Max Darwin (aka “The Amazing Max”) will return to New York this spring for 7 performances only at the Theater at Blessed Sacrament (152 West 71st Street – just East of Broadway). Performances begin on Sunday, April 10 and continue through Sunday, May 1. 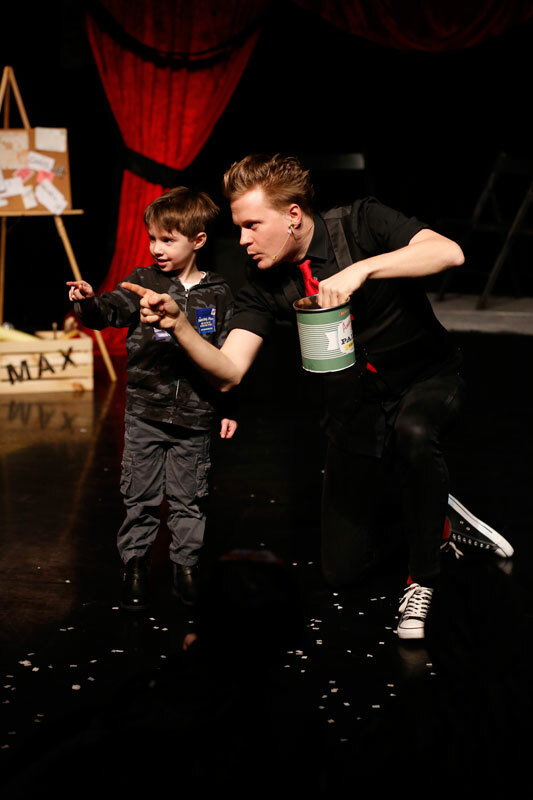 The Amazing Max is a magic show with a mind of its own. Magician Max Darwin makes objects appear out of thin air, defies the laws of physics, and performs miracles inches from spectators’ faces. The props onstage seem intent on surprising even the magician himself. 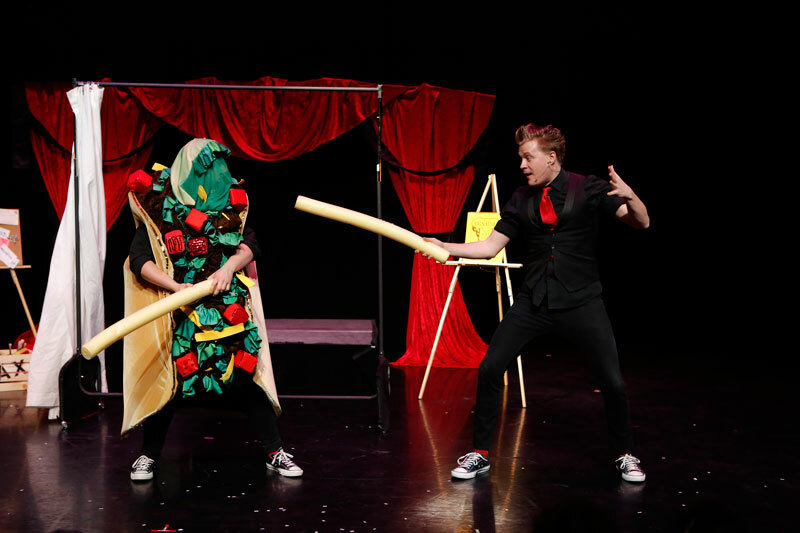 This out-of-control show bursts with striking visual magic, comedy, and loads of audience participation. The Amazing Max selects all of his assistants at random from the audience, and each adds a unique element to the show. “His ability to astound is something to see.” (The Huffington Post). participate in a magic lesson, and take home a magic trick! Additionally, premium tickets include priority front row seating. They can be purchased online at www.theamazingmax.com or by calling 866-811-4111 or 212-352-3101. 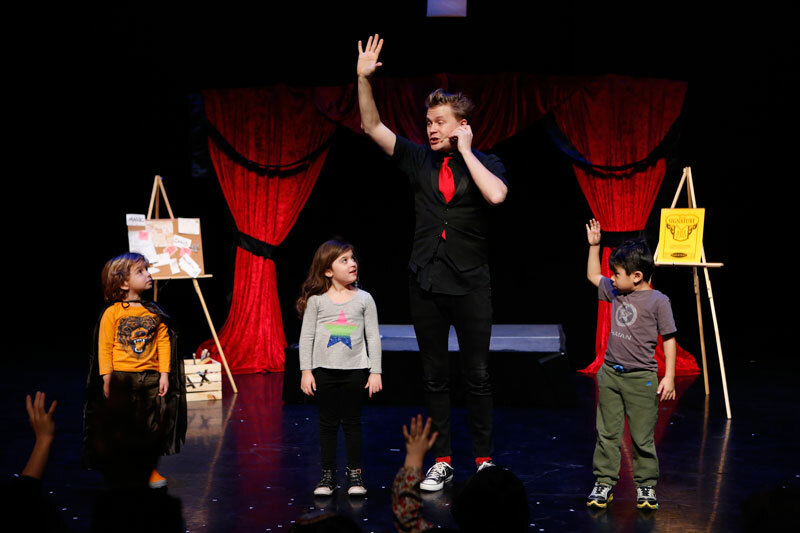 The show is recommended for children ages three (3) and up. For more information on The Amazing Max, visit www.TheAmazingMax.com.